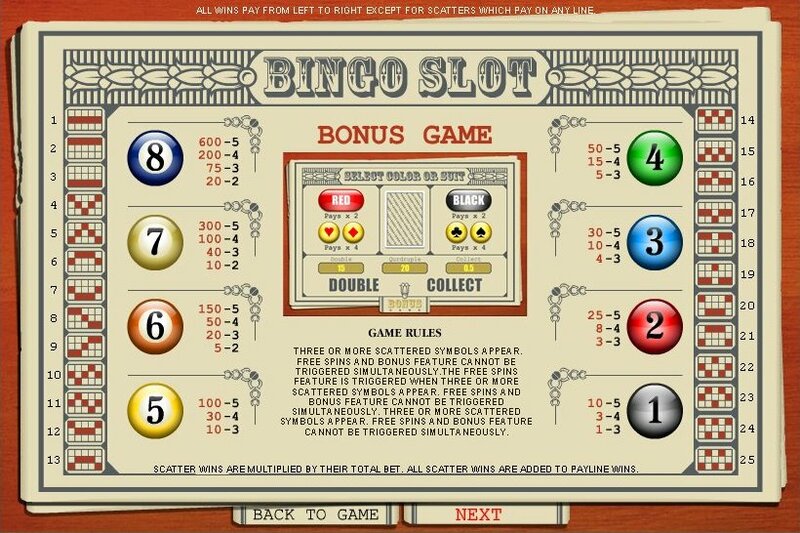 Overview: Bingo Slot 25 Lines delivers the ultimate combination of Bingo and Slots in one game! The contrast between the glassy bingo balls and the traditional background will catch your eye. What will really attract you, are the 25 options to win. 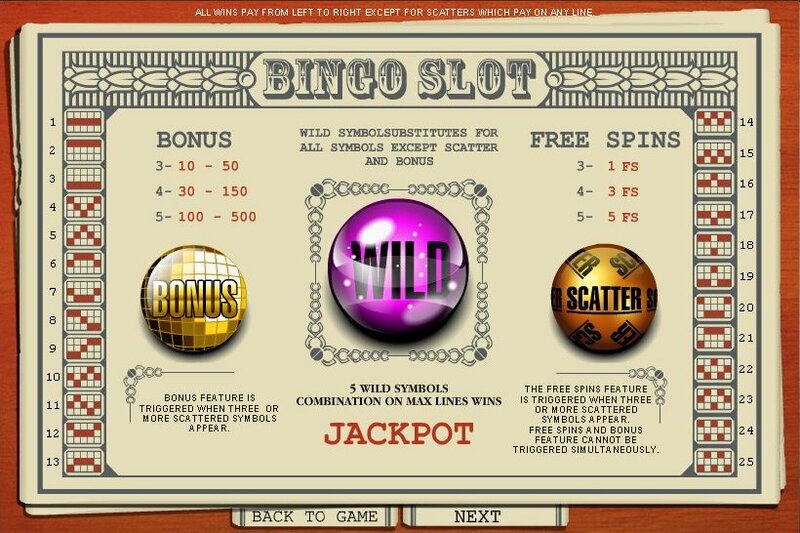 Play Bingo Slot 25 Lines and win up to 500 coins in each bonus round! 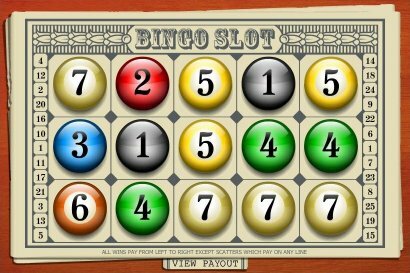 Similar Slots: If you like Bingo Slot (25 lines), you might like these other slot machines from Top Game: Glamour, Lost Inca's Gold, Merry Bells, Morpheus Dream, Redbeard & Co., Reel Gangsters.